SPC welcomes you to attend the many events scheduled for Holy Week as listed below. ….Thursday Apr. 18, Seder Meal – begins at 7 p.m. This is a family friendly time in obseversance of the meal Jesus had shared with his disciples. Please RSVP your participation at (757) – 539-3213 or email: suffolkpcusa@verizon.net. ….Friday Apr. 19 Good Friday – Tennebrae service with Holy Communion – begins at 7 p.m.
….Saturday Apr. 20, Easter Egg Hunt – begins at 10 a.m.
….Sunday Apr. 21, Easter Sunday Worship and Holy Communion- 11 a.m.
complimentary soup and sandwich lunch. Thank you for your intest in the life-changing Daniel Plan! Was getting in shape mentally and physically one of your New Year’s Resolutions? Are you hoping to find greater focus on God and His purpose for you? Are you ready to connect with others in exploring a new path to better health and a better life? Then join us in The Daniel Plan. The Daniel Plan is a practical six-week program for people to restore their health and ultimately prepare them to fulfill God’s purpose for their lives. More than just another “diet”, its a lifestyle based on the biblical story of Daniel, who forsook the king’s rich food and way of life in order to honor God and do what was best for him and his friends. Originating from Rick Warren’s Saddleback Church, the Daniel Plan was created with the help of experts Drs. Mehmet Oz (cardiology – yes, THAT Dr. Oz), Daniel Amen (psychiatry), and Mark Hyman (functional medicine) – of different faiths and medical backgrounds. It addresses the Whole Person and is based on the five pillars of health: faith, food, fitness, friends, and focus. 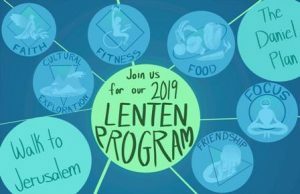 Beginning Sunday, March 10, Suffolk Presbyterian Church will offer a special Lenten study centered around The Daniel Plan. In addition to weekly sermons inspired by Daniel, there will be a 40-day, small group DVD study. Using video and workbook discussions, the meetings will provide fellowship, inspiration, instruction, and useful tips. Each week will bring a different theme, with practical “next steps” to move forward. The study is open to the public, so feel free to invite friends. Afterall, every body needs a buddy, as lifestyle changes are best made within community. Check the Narthex for handouts and a signup sheet. We are also looking for individuals who would like to be a part of the Coordinating Team. See Maryanne Persons for details and more information. Bring your family and neighbors to share in this special Christmas Eve service in preparation of the Christ Child. The service will feature favorite readings, carols, comunion and special music by our Music Director, Tim Price and Kyle Cook, soloist. Doors will open at 6:30 p.m. and the service will begin at 7:oo pm. Halloween is right around the corner! Join us for our annual Trunk or Treat event. The evening will include candy, popcorn, and a hayride. Open to the public. Please share the linked flyer with friends and neighbors! Come and join the fun at Suffolk Presbyterian Church on Saturday, March 31 at 10 am. Hunt for Easter eggs, enjoy stories, and a snack. Prizes for all! Bring friends and join the fun and fellowship!! Rain or Shine! Come join us for an afternoon worship service in celebration of our pets. Everyone is welcome to attend. 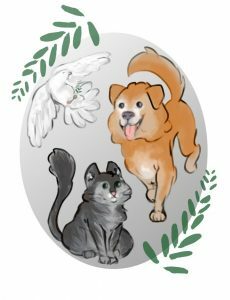 Please make sure to have your pets secured while taking part in the blessing. Suffolk Humane Society will be bringing adoptable dogs and cats to meet and will have volunteers available to answer any questions on their program. Donations will be collected for the Humane Society: Food, litter, cleaning supplies, and cash donations. Donations can also be dropped off at the church office during the hours of 9:30 am and 12:30 pm.